Another music artist has entered the battle between the music industry and their fans but this volley might not be what people would expect. 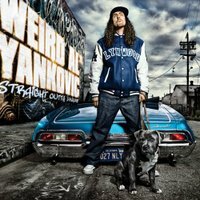 Master of Parody and Hero of the singing comedy genre Weird Al Yankovic has released the newest single from his upcoming CD, "Straight out of Lynwood ". The song, titled "Don't Download this song ", is a parody of epic proportions. While the song is written as a warning, the lyrics scream of the idiotic business model of suing your customers in mass numbers and trying to strangle technology with an iron fist. Its an original recording, but has a very "We are the World" feel to it. Al is by no means the first artist to fight back against the RIAA, but unlike recent soldiers in the war, Al makes his shots with wit and style. I have been a "Weird Al" fan for the better part of my life. I embrace the lyrical aspect of music and enjoy listening to the ways artists write and execute their passion for the sung word. I also embrace cover artists who take a song and add their own personalities and nuances to it. (One notable exception to this is the recent Gnarles Barkley cover of the Violent Femmes "Gone Daddy Gone", but that is a discussion for another post). Weird Al puts an amazing comedic aspect to not only the music he covers, but in his original works. Comedy that is both juvenile and yet surprisingly adult and deep. on my knees day and night scoring points for the afterlife. to the tune of Coolio's "Gangster Paradise" and not be considered a well rounded musical talent. Al has also released a music video over at yahoo music for "Don't Download this Song" and has gotten George Plimpton to do the animation for it. While the Nazi RIAA tank chases and prison scenes are all classic Plimpton and fit well with the song, I would have liked to see Al go a different way with it. As I mentioned earlier, the song sounds very much like the great 80's cause-de-jour marketing tool, "We are the World" and it would have been great for Al to get a large group of "one hit wonders" and faded musical artists together and shoot it in a "we have a cause and you should listen to us" style that made the video for We Are The World so popular. In fact, you could probably get 90% of the original "We are the World" artists to do this project for a hundred bucks each. I recommend you all NOT download this song and check it out. Al is also playing that song along with several other hits on his myspace page, but for ethical reasons, I will not be linking to THAT. EDITORIAL NOTE: THE VIEWS EXPRESSED IN THIS POST ARE NOT NECESSARILY THOSE OF MEMEPUNKS.COM AND ITS AFFLIATED ENTITIES. THEY ARE THE OPINIONS OF THE POSTING AUTHOR ALONE. Only Weird Al can put it into perspective. The original song is "Pastime Paradise" by Stevie Wonder. I know, it's hard to believe that a rap artist like Coolio would borrow music from another artist.